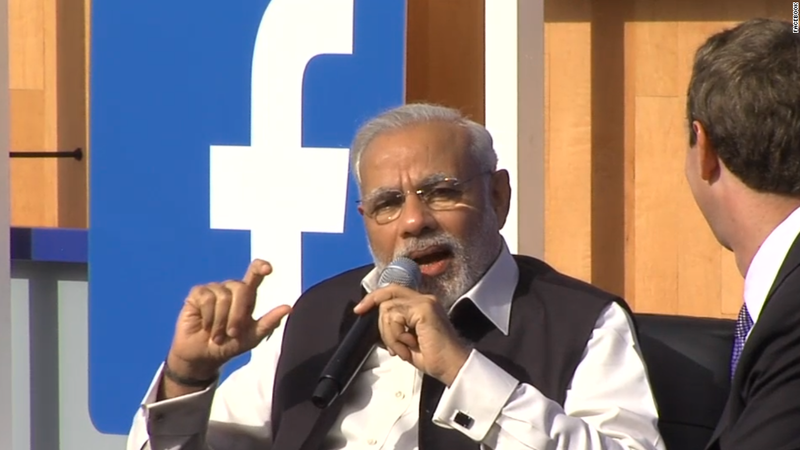 Facebook's campaign to offer free Internet access to hundreds of millions of people in India has been blocked. India's telecoms regulator ruled Monday that service providers must charge the same price for all content, dealing a crushing blow to "Free Basics," a Facebook initiative that had come under withering criticism from tech activists. "Free Basics," formerly known as Internet.org, offered limited Internet access to consumers who cannot afford a broadband connection or smartphone data plan. The service provided information on health, travel, jobs and local government. By offering a limited number of websites and services, and transmitting as little data as possible, costs were minimized. Facebook (FB) is one of the apps in the service. Others included AccuWeather, Ask.com, Baby Center, Bing, Dictionary.com and Wikipedia. Critics argued that the program violated the central tenets of net neutrality, which stipulate that all Internet content and users should be treated equally. They also said the program, billed as altruistic, too closely mirrored Facebook's commercial aims. CEO Mark Zuckerberg had pushed back against these critics, arguing that the "Free Basics" platform was open to all software developers, had no advertisements and would help less fortunate users escape poverty. "Instead of wanting to give people access to some basic internet services for free, critics of the program continue to spread false claims -- even if that means leaving behind a billion people," the Facebook CEO wrote recently in the Times of India. "Who could possibly be against this?" The Telecom Regulatory Authority of India, however, ruled that "differential pricing" could create an uneven playing field, stifle innovation and make it difficult for new players to enter the market. "While disappointed with the outcome, we will continue our efforts to eliminate barriers and give the unconnected an easier path to the internet and the opportunities it brings," a Facebook spokesperson said in a statement. India has one of the world's top tech scenes, where skilled engineers churn out apps. At the same time, hundreds of millions of Indians don't have access to the Internet, even on a basic phone. Getting these users online is a top priority for Silicon Valley firms, which also hope that Indians will use their services. The regulator's ruling did acknowledge the need to open Internet access to more Indians, and carved out an exception for service providers to offer "limited free data that enables a user to access the entire internet." "Free Basics" does not fit that description because it offered only a limited number of websites and apps. Mahesh Murthy, a prominent Indian venture capitalist, last year described the program as "imperialism and the East India Company all over again," carried out under the guise of "digital equality." "What Facebook wants is our less fortunate brothers and sisters should be able to poke each other and play Candy Crush, but not be able to look up a fact on Google, or learn something on Khan Academy or sell their produce on a commodity market or even search for a job," he said.